One of the things that make us feel comfortable when working with a database is the ability to ssh into the server, connect to the database, and use sqlplus or sqlcl to interact with the database. 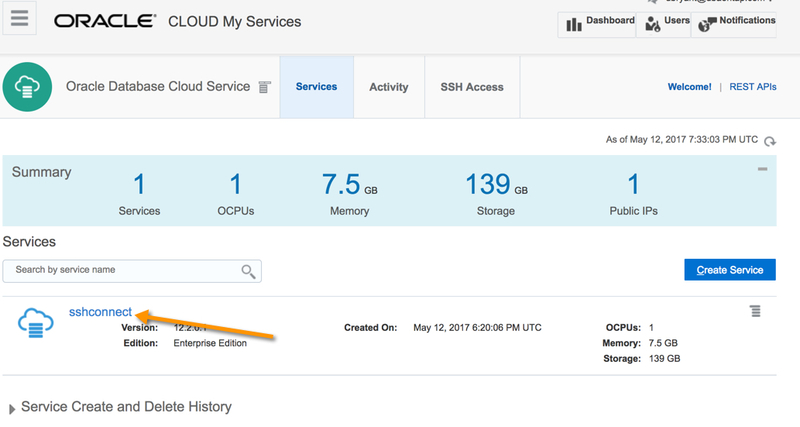 You might not know it, but even though the Oracle Database Cloud Service is a PaaS solution, you still have the ability to ssh into the database server. Let’s quickly take a look at the process. 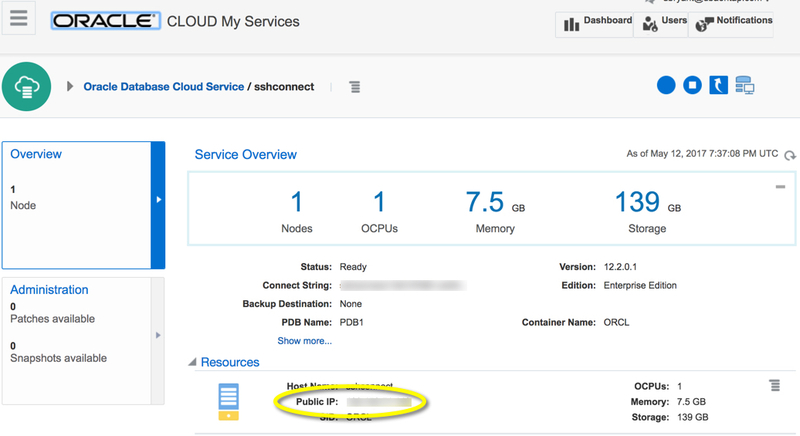 Locate the public IP address of the instance by clicking on the instance name on the dashboard. and connect to the oracle database directly.